The exciting game for all ages, imported from Europe and also known as boules. Great site now we have found it. We look forward to joining(in on Saturday). Appreciate the boules, sweat and tears that went into creating this monster! I would like to say a big thank you to all the members of your club who came to play at Bridlington today, we really enjoyed the match, and hope to come to your club for a return match. regards Madge. We play in Firth Park which is situated in Heckmondwike town centre near to Morrison's supermarket. Postcode WF16 0HH for satnav. Membership costs £20.00 per year. Includes free tea/coffee and biscuits. We are happy to welcome new members. Don't worry. We will teach you and a copy of the main rules can be seen in our rules section. 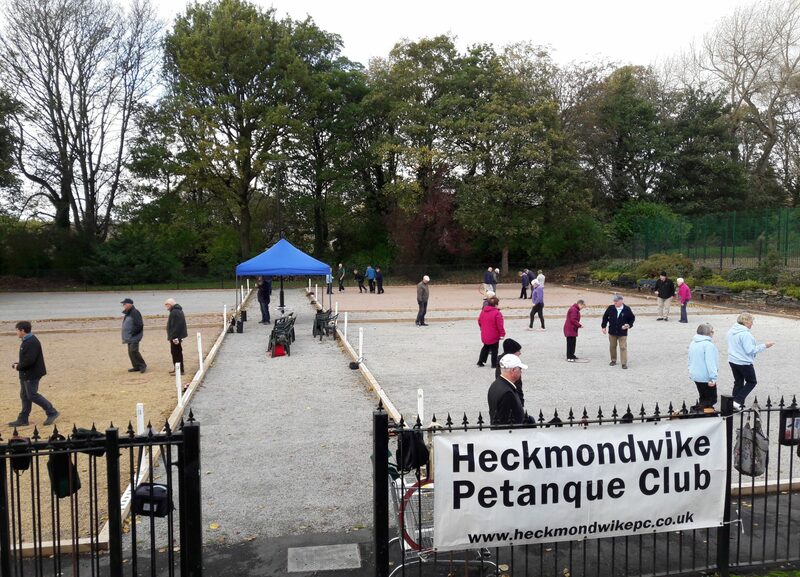 You can visit a couple of times for free and we will lend you some boules to try it out.